How Much Self-Inflicted Pain Did You Endure This Christmas? Did you over cook the roast? Or burn the pie crust? Were all the gifts wrapped to perfection? Did the Christmas cards get mailed on time? Did everything on your list get done? Just think of the countless ways we heap guilt and shame on ourselves when life is messy and unfinished! I was unmercifully critical of what I said, what I did and how I looked. Over the years it had become a nasty habit! And it was a habit I needed to break! I’m better today, but it is still a work in progress. In 2014, let’s make a commitment to speak to ourselves in the same kind and forgiving way we speak to our loved ones. Watching this video whenever we need to be reminded of how wonderful we truly are will help us both realize that we are worthy of self-respect! Share the beauty with your friends! 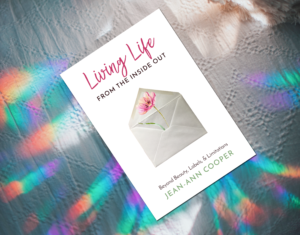 Get Jean-Ann's new blog posts right in your inbox!